Near the southern end of Victoria Street, Hamilton’s main drag, a spindly-bronzed man points a ray gun at the heart of the city. A rare symbol and celebration of subversion and difference in a city not known for either, the sharp-silhouetted likeness of Riff Raff, the cracked butler played by Richard O’Brien in his internationally renowned rock and roll musical The Rocky Horror Show is untypical of New Zealand and Hamilton statuary. Unveiled at midnight on 26 November 2004 following months of vigorous debate led by the piece’s chief advocate Mark Servian, the Perry Foundation-funded and Weta Workshop designed statue’s feet finally found firm ground on the mostly empty lot of the old Embassy Theatre. A main street institution in the 1950s and 1960s, the Embassy is the acknowledged site of O’Brien’s enlightenment. It is where the young hairdresser witnessed the touring package shows and late night B-movies he’d later say informed his over the top comic-gothic musical. Supported by a red and white sign demonstrating the steps and spelling out the words to ‘Time Warp’, one of Rocky Horror Show’s best remembered songs, the Waikato Museum of Art and History-curated Riff Raff has recently been redecorated and enhanced with appropriate imagery. The statue has aged well as has Richard O’Brien, the character’s creator, who returned in 2010 to live in the North Island town of Katikati. O’Brien travels from the Bay of Plenty hamlet to wherever his show now takes him, including back to London to prepare a 2015 stage version of the Rocky Horror Show follow-up Shock Treatment. Later in 2015, a new stage production of The Rocky Horror Show debuted with O'Brien appearing as the Narrator. Richard O’Brien followed that path from New Zealand to London first in 1964, his dreams and ideas packed up tight with him. Taking parts in Carry On Cowboy and stage musicals Hair and Jesus Christ Superstar, O’Brien pecked away at his own rock musical, tentatively titled They Came From Denton High. Talking it up to London-based Australian director and producer Jim Sharman, the idea found favour and grew roots, becoming The Rocky Horror Show. Debuting in London’s experimental 60 seat Theatre Upstairs at Royal Court in June 1973 with Vincent Price in the audience, O’Brien’s glam-musical soon took on a life of its own. The show moved through several locations (including the 500-seat King’s Road Theatre), its first run lasting until September 1980. American producer and promoter Lou Adler secured the rights for a Los Angeles production and a film deal with 20th Century Fox. Filming began in October 1974 at Bray Studios in England, a former Hammer Film Productions movie lot, which must have delighted horror movie fan O’Brien. Over half the original stage cast, including O’Brien, reprised their stage roles in the movie, now renamed The Rocky Horror Picture Show. The stage show took time to catch on in the United States. The Los Angeles run in 1974 was an early bright spot, but Broadway proved to be hard going. Relaunched again as a midnight movie in New York’s Waverley Theatre in Greenwich Village, The Rocky Horror Picture Show finally fired America’s imagination. Audience participation proved to be the spark by blurring the line between the screen and fans. The movie soundtrack released by Festival Records in New Zealand in 1975 found Richard O’Brien singing on ‘Science Fiction’/ ‘Double Feature', ‘Time Warp’, and ‘Over At The Frankenstein Place’. 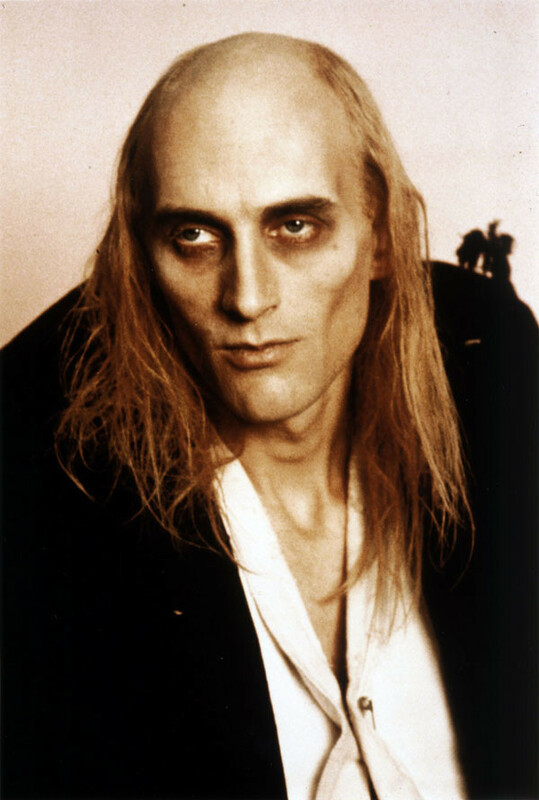 A second Rocky Horror movie, Shock Treatment saw Richard O’Brien return to the screen in 1981. Outside London, the stage production of Rocky Horror Show faltered like the movie at first. A run on Broadway in New York at Belasco Theatre closed after 45 shows. A San Francisco stand in 1976 fared only a little better. 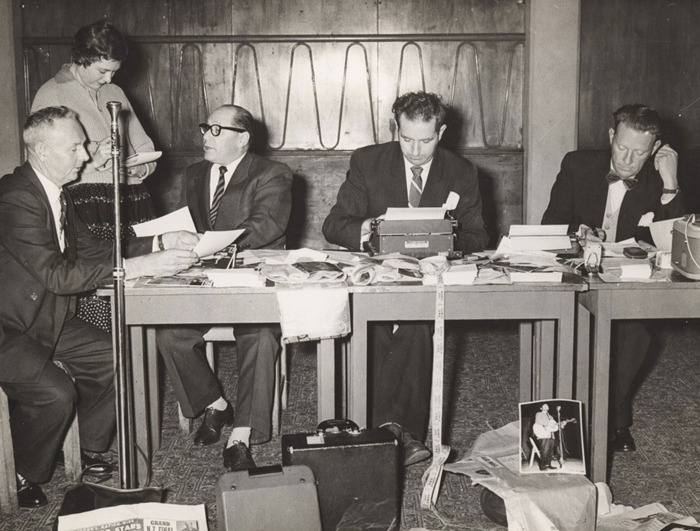 Australian-based Kiwi promoter Harry M. Miller proved a surer pair of hands. 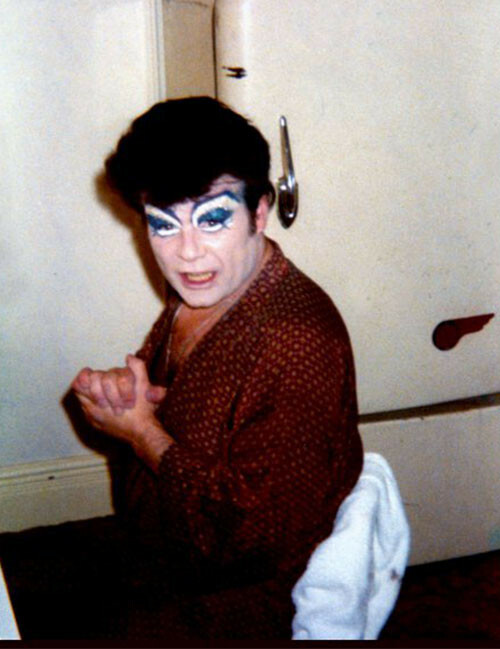 He opened Rocky Horror Show at Sydney’s New Arts Cinema in Glebe before moving to Melbourne’s Regent Palace Theatre where the show ran from October 1975 until May 1977. 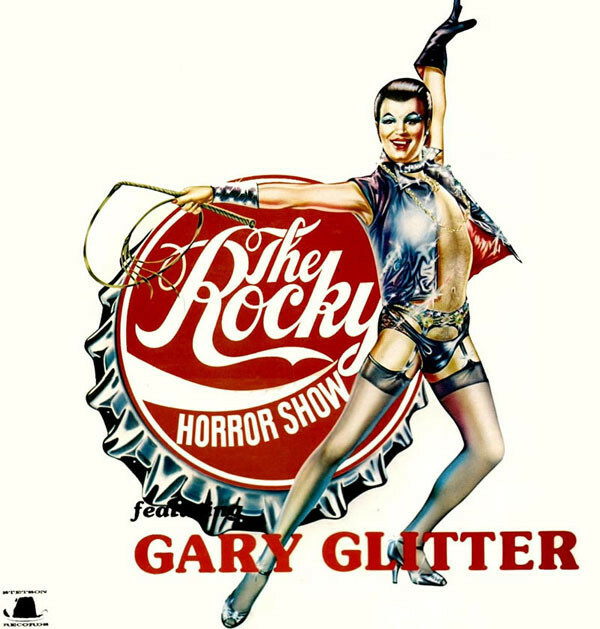 New Zealand got to see Rocky Horror Show up close for the first time in July 1978 when Stewart Macpherson’s Stetson Productions put together a touring show with Gary Glitter in the central role of Dr Frank-N-Furter. On arriving for rehearsals in New Zealand, the fading glam rock star soon found his new Columbia. Zero (Clare Elliot) was in her last days as front woman for Auckland first-wave punk group Suburban Reptiles when Gary Glitter spotted her in a splash piece on TV news in mid 1978. A canny choice, Zero joined him on Rocky Horror Show’s long New Zealand tour. Opening at Wellington’s State Opera House on 28 July 1978, the glam musical ran into early August, pausing only to tape a new cast recording at EMI’s Lower Hutt studios for release on Stetson Records. Assembling a crack team of players that included Mammal’s Mark Hornibrook on bass, Ray Mercer on guitar, Dennis Mason on sax and Earle Strange drumming, musical director Dave Fraser arranged and produced the music, engineered by Peter Hitchcock between 31 July and 2 August . The movie soundtrack album hit No.11 on the NZ album charts during a six-week stay in August 1978. 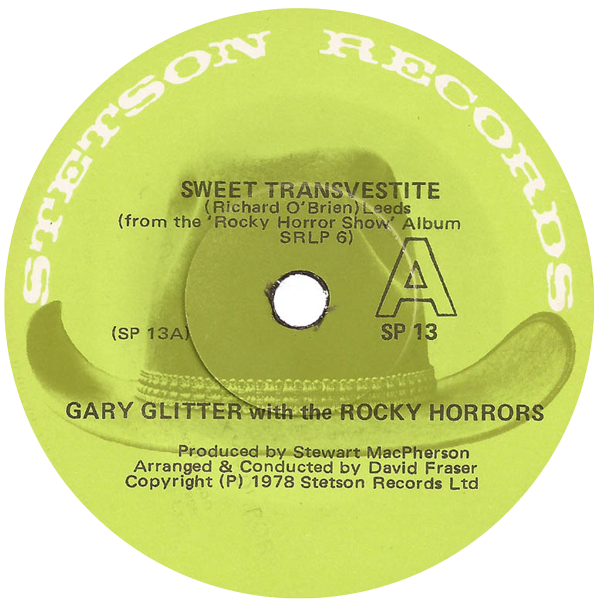 Two singles featuring the local cast, ‘Hot Patootie (Bless My Soul)’ b/w ‘Eddie’s Teddy’ and ‘Sweet Transvestite’ b/w I’m Going Home’ were plucked for release on the Stetson label. Columbia’s main musical contribution to the record was ‘Time Warp’ with Magenta (Sharron Skelton), Riff Raff (Sal Sharah) and the Narrator (NZ DJ Keith Richardson) b/w ‘Science Fiction/ Double Feature’. Both songs were released as a single in 1981 to coincide with an Australian touring production. The album and its three singles are now the rarest of Rocky artefacts. Having bent two mic stands, put a microphone through a drum, grazed her leg and cracked her sternum in the fall, the punk vocalist saw the season out fortified by painkillers. Bookings were solid for Rocky Horror at Dunedin’s Regent Theatre from 13 to 16 September. An extended run at Christchurch’s Royal Theatre beginning on 19 September saw vocalist Barry Saunders become the show’s third consecutive Rocky. Rayner Bourton, the show’s director and the original London Rocky, was the first. The musical wound down in Wellington with a midnight show on 7 October. In the wake of the 1978 touring show’s success came prolonged exposure of the film at the Hollywood Cinema in Avondale, where devotees would flock late on Friday nights until at least December 1980. It was a formula that had worked well overseas and one that would be tried again at The Academy in the Arts Centre, Hereford Street, Christchurch in 1983. Promoted by Hits Radio 1323ZM, the film showed on Friday and Saturday nights at 11.30pm and offered “prizes for costumes”. Water pistols and rice were also welcome in the theatre. Touring productions of Rocky Horror Show have since been staged with some regularity in New Zealand. In June 1986, Russell Crowe took the role of Eddie and Dr Scott and former PM Robert Muldoon became the narrator for the show’s return to His Majesty’s Theatre in Auckland. 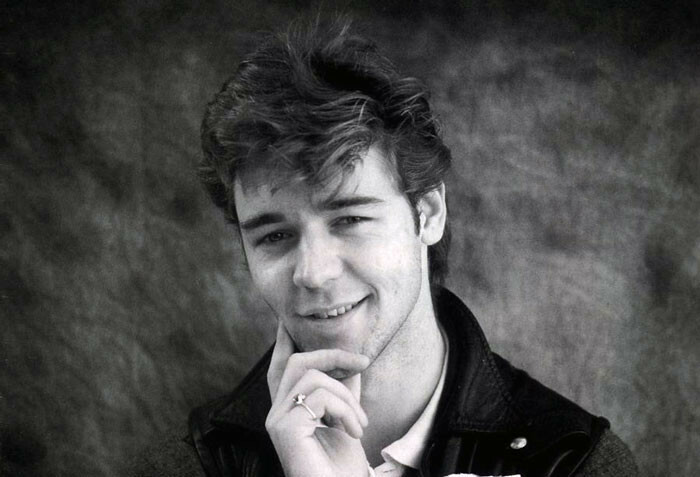 Crowe would reprise the part in Australia in 1987 and 1988. Sir Robert and Lady Thea Muldoon backstage with the cast of the Rocky Horror Show, May 1986. Front row, left to right: Mark Rimington (Rocky), Daniel Abineri (Frank-n-furter), Sir Robert Muldoon, Lady Muldoon, Russell Crowe (Eddie). - Photo by John Nicholson. The Dominion Post Collection, Alexander Turnbull Library. 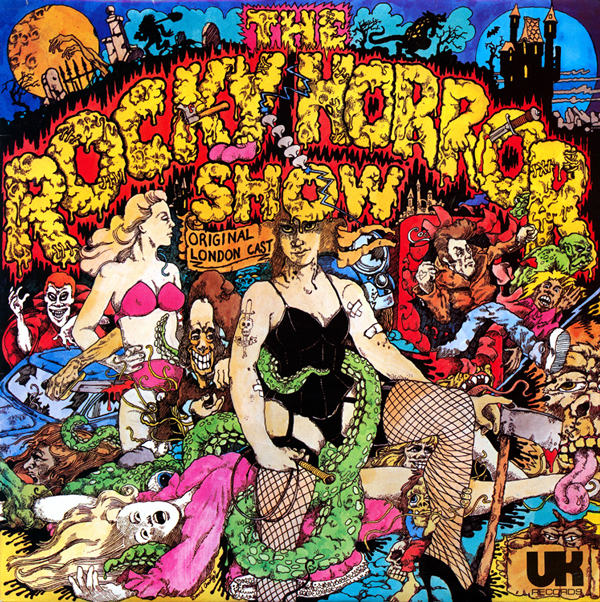 A “new” Rocky Horror Show was produced by Paul Dainty and Stewart and Tricia Macpherson in early 1995 and sported an all-local cast and an orchestra assembled by Garth Porter. The musical’s run at Auckland’s Aotea Centre celebrated the show’s 21st birthday. Popular singer Tina Cross had been pencilled in to play Columbia before a car accident ruled her out. Ray Woolf and Jennifer Ward-Lealand made the bill as well. A new national touring show was assembled by Simon Prast for Auckland Theatre Company in late 2002 and ran through into 2003 with a cast that included former Push Push singer, DJ and media personality Mikey Havoc as Eddie/ Dr Scott. Local productions sprouted down south in Timaru Theatre in October 1997, while Christchurch’s Court Theatre proffered their Cathy Downes directed take from 27 November 2004. A Queenstown production in 2007 indicated the musical’s enduring South Island popularity. 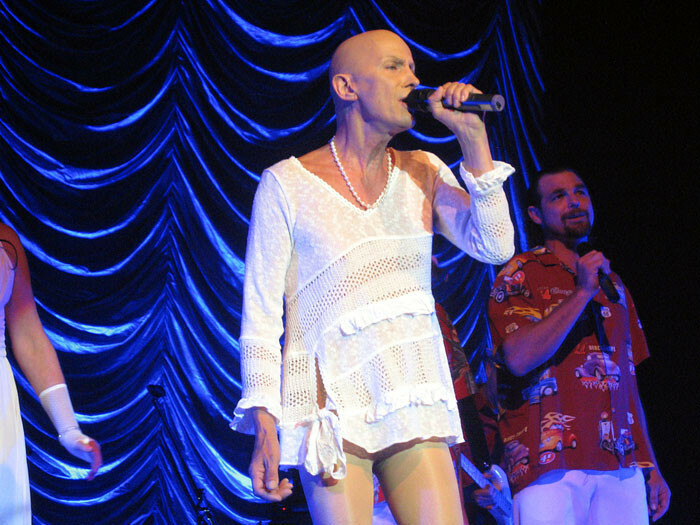 Richard O’Brien popped up again as the Narrator on a New Zealand Rocky Horror Show tour to Auckland, Wellington and Christchurch in late 2010. The new millennium had dawned on a Rocky Horror Show with little left to prove. Internationally the musical had been regularly performed with shows touring Germany, Norway, Australia, Japan and France. There were 13 touring productions in the UK up to 2013. A Broadway revival in New York began in 2000. 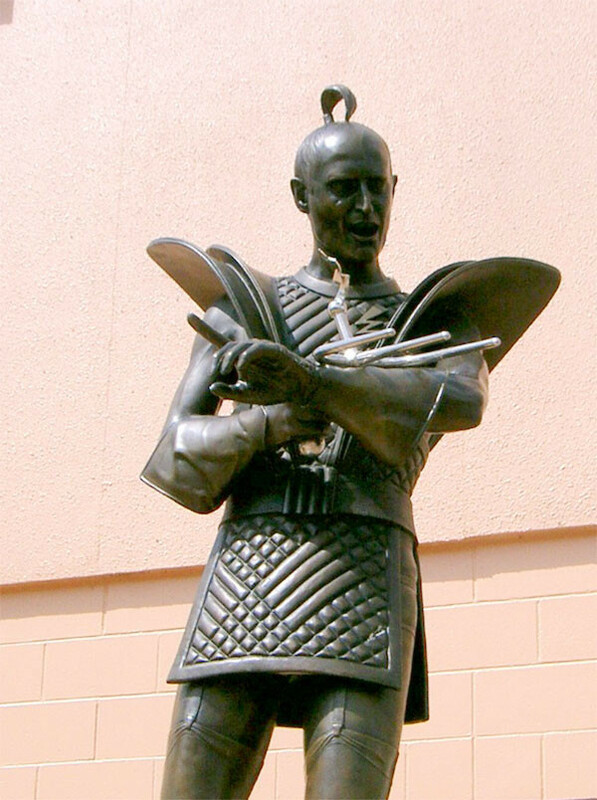 Richard O’Brien’s initial link to Hamilton seemed relatively brief, perhaps too brief for New Zealand to lodge a strong claim as an influence, a situation that became an issue in the arguments put forward in the debate around the proposed Riff Raff statue. O’Brien resided in the city for six years from 1959 to 1964, aged 18 to 24. He was a member of the “bodgie” cult that liked rock and roll and its attendant fashion. The Rocky Horror Show song, ‘Whatever Happened to Saturday Night’ is said to be inspired by an evening the tight-jeaned and greased hair O’Brien spent at Hamilton Lake. Direct connections to the river city outside scattered comment pointing to the Embassy Theatre’s influence were certainly hard to find in Richard O’Brien interviews until relatively recently. Talking to James Wenley for Theatre Scene, the Auckland Theatre blog (30 January 2015), O’Brien was asked whether his experiences in Hamilton had inspired him to create Rocky Horror. “I used to go to the Embassy … on a Friday and Saturday night and see the late night double feature … sitting in the dark with eight or 10 at the most spread round. Useless geezers like myself with no direction, gormless youths shouting lines at the screen, muttering and thinking we were funny,” O’Brien replied. “Oddly, the Embassy Theatre – and I never thought about this to very, very recently – was where I saw my first drag act or female impersonator in New Zealand. Very big guy, must have been six foot one, huge guy. I saw him on stage because the Embassy was also then a theatre. [It] hadn’t occurred to me until quite recently that Frank-N-Furter and the double features came out of the Embassy Theatre. Late night movies, dance halls, budding musical performers and touring shows all indicate a robust and busy local teen scene in Hamilton, in marked contrast with the other angle partially used to sell the statue to the wider public by chief Riff Raff advocate Mark Servian. 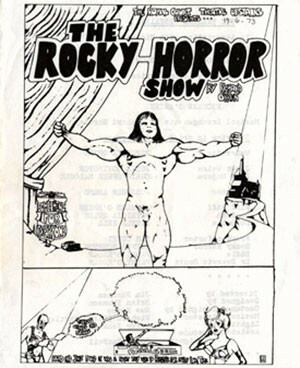 Servian suggested Hamilton’s isolation and cultural distance from “the real action” and O’Brien’s need to get away to London were key stimuli for The Rocky Horror Show. He compared the “small straight town” in RHS to Waikato towns Te Aroha and Morrinsville and the “sexually charged performances” to New Zealand’s premier rock and roll singer, Johnny Devlin. “[O’Brien] wanted to bring it back to the raw excitement of rock and roll that he had experienced as a teen in faraway Hamilton,” Servian said. Johnny Devlin’s potential influence can be readily proven. Dry runs of Devlin’s breakout rock and roll tour of April 1959 played out in Hamilton and Paeroa in August 1958. What Servian wasn’t to know was that by the time Devlin arrived in Hamilton there was already a busy local rock and roll scene in the city fostered by The Deadly Cravats, The Jartland Rockers and Johnny Morgan’s Rock n Roll Band. 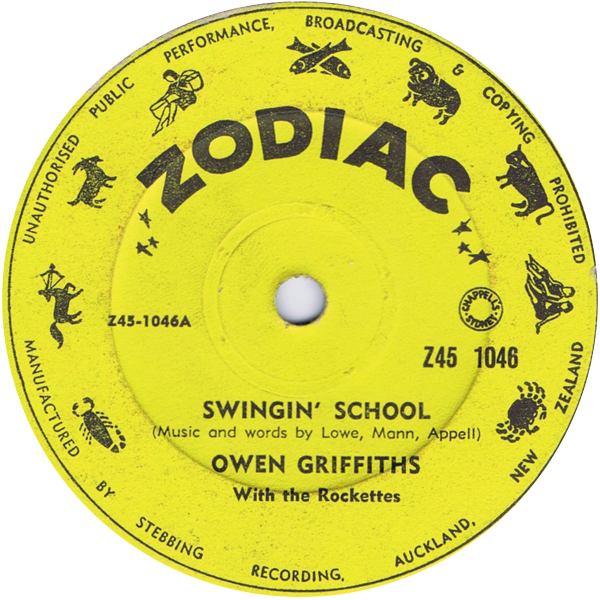 “The raw excitement of rock and roll” that Servian points to as an influence on O’Brien was in fact Waikato-wide. Te Aroha and Morrinsville may have been “straight” towns, but they also had active rock and roll audiences. Te Aroha and its surrounding halls were the early stomping ground of the Elstow-formed rock and roll group The Satellites. Morrinsville was even busier with regular rock and roll shows staged at Physical Culture Hall throughout the late 1950s and 1960s. Lou Manson’s The Beatniks were local onstage regulars there. Both groups were regulars at Hamilton city dances. Regular rock and roll dances were also staged in Te Awamutu, Huntly, Matamata and Ngāruawahia, with intermittent shows in rural halls in Waharoa, Tahuna, Hautapu and Tauwhare. Hamilton was a hive of rock and roll related activity in O’Brien’s time. 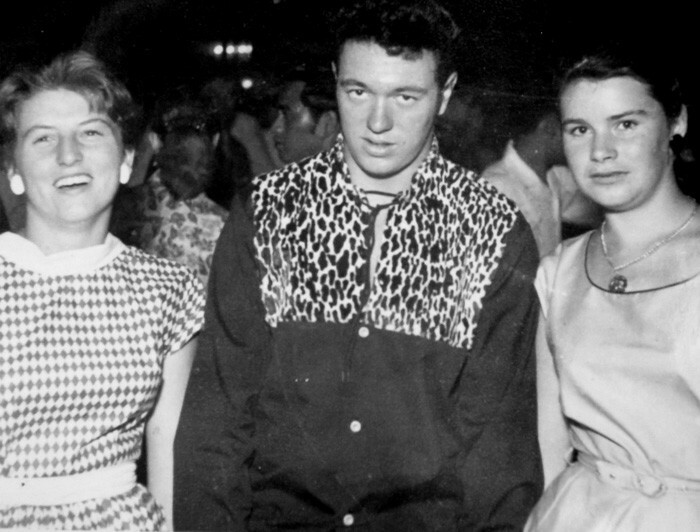 There were three popular city dances running from 1959 into 1963. Māori rock and roll and jive groups ruled in adjacent town Frankton. Dusky Nepia and his Rock n Roll Band held down a regular weekend spot at Frankton Town Hall’s Ngati Haumutana Social Club as did Jay Oti and His Crusaders, Little Bill and The Midnighters and TPM Rockers. Nearby Junior Enoka and the Hamilton Jive Cats could be found every Friday night at the Masonic Hall in Kent Street. In the city centre The Rockettes with Owen Griffiths upfront offered both “rock n roll and straight dancing” at Angelsea Street’s perennial dance hall, the Starlight Ballroom. The Satellites featuring singer Ivor Fisher were regulars there as well from mid-1959 and often held down the Wednesday night slot. Just outside Hamilton, The Cravats pencilled in a monthly gig at Horsham Downs Hall and spread out to Gordonton, Huntly West, Te Kowhai and St Pats in Te Awamutu, where they introduced teenage R&B vocal trio The Reataz alongside regular singer George Sarjant. 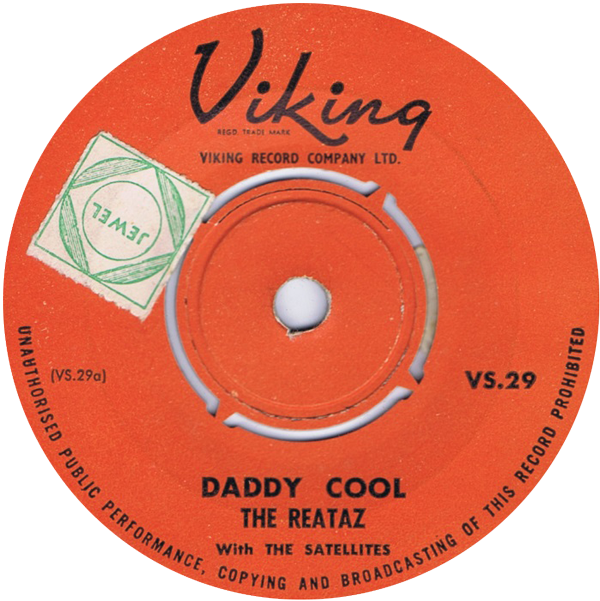 The Reataz (Coralie Wilson, Claire Beale and Jan Jones) soon moved into The Satellites’ orbit and released a sharp swinging version of The Rays and The Diamonds dual 1957 US hit ‘Daddy Cool’ in 1960 on Auckland’s Viking Records. In time, The Dominoes with Mike Buckner, The Tarantulas with Eddie Paul, The Spotlites with Sonny Murray (who also joined The Satellites), Sandy Sanderson and The Semi-Tones, The Melvettes, Pat Reinhart’s The Astronauts and The Comets established themselves in the Waikato. In mid-1961, a new dance opened in Hamilton’s suburbs at Matangi Dance Centre, featuring touring and local groups. The Teen-a-Rama Friday night dance in William Paul Hall at Waikato Winter Showgrounds then Bledisloe Hall followed in the central city. Touring package shows with diverse bills from Auckland, including the Howard Morrison Quartet based Showtime Spectacular, Prestige Promotions’ Big Show, Viking Variety Show, Mighty Carlaw Park Extravaganza, Cavalcade of Stars, Joe Brown’s Nationwide Search For Stars and Starlight Starbright Hit Parade were regular features on the Hamilton music calendar, mainly at the Embassy Theatre. Multi-artist bills at Claudelands Showgrounds in Hamilton East dotted the summer season. If O’Brien needed an inspiration for a multi-faceted music based stage show, he didn’t have to look far. It’s likely the tall female impersonator O’Brien mentioned above was Noel McKay from Auckland, who first visited Hamilton in January 1960 on a Showtime Spectacular bill at Claudelands Showgrounds. McKay returned with Spotlight On Stars to the Embassy Theatre in December 1960. Unlikely as it sounds, McKay wasn’t even the first advertised female personator on Hamilton stages in the rock and roll era. That would be Gary Roberts with “her crazy impressions of Peggy Lee and Julie London” at Starlight Ballroom in late May 1959. Auckland-based artists Bill Sevesi with Will Jess and The Jesters and Ronnie Sundin, Peter Posa, Bob Paris, Freddie Keil and the Kavaliers, Toni Williams, Red Hewitt and the Buccaneers, The Deuces, The Keil Isles, The Hi Brows, Vince Callagher and Eddie Howell visited Hamilton often and played surrounding towns. While Richard O’Brien probably didn’t attend all these shows, it’s clear Hamilton had a robust rock and roll scene in the years he lived there. After a busy 1960 the rock and roll boom peaked in Hamilton in 1961 and 1962. But the music would remain a staple of the region’s live scene for years to come only now the stage was shared with folk, electric beat bands with lead singers such as Ray Columbus and The Invaders (who arrived on tour in 1963) and R&B groups fleshing out the picture. The B-movies that played at The Embassy Theatre are another acknowledged influence on O’Brien and the Rocky Horror Show. A survey of period show listings reveals all Riff Raff’s stated influences such as Steve Reeves, the US body builder turned highest paid actor in Europe, sci-fi wig-outs and horror movies gracing Hamilton screens. Both the Embassy and the State Theatres had regular late night showings. It was those cultural experiences that Richard O’Brien packed away with his dreams and belongings on leaving Hamilton in early 1964. The early 1970s rock and roll revival and the rising rock and roll based glam rock fad, which utilised cross dressing and the blurring of gender boundaries, were the final ingredients he needed.